Home / Interviews/Punk/Get to know the Italian pop-punks, Feelbacks! Started in 2010 by lyricist, singer and guitarist Roberto Riccardo, Feelbacks is a 4 piece pop punk band from Rome, Italy. 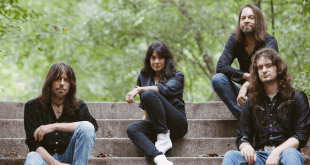 The band is now here to answer a few questions linked to their latest releases. Check out what they had to say below! Hello, Feelbacks! Thanks for your time! Would you mind introducing your band to our readers? 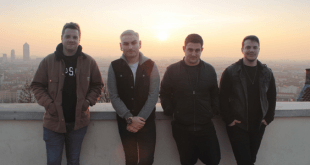 Feelbacks is a 4 piece pop punk band from Rome, Italy, born in 2010 by Roberto Riccardo. Merging classic Californian punk vibes with modern easycore breakdowns, we released the EP “Through the Memories” in 2012. And a full length album “Welcome To My World” in September 2016. Alongside Roberto, Filippo Pianosi as bassist, Ivan Boison as lead guitar and vocals, Edoardo Massimi playing drums, joined the band. With this line up, we released a 7-track EP called “Into The Core” in August 2018. What is the story behind your bands name? Feelbacks stands for “memories of past feelings”. We believe that who we are today is the result of what we’ve been going through. Friends, love, happy times, sad moments and so much more like these. Our songs talk about the stories of what we did, what we’re feeling today, and also what we hope to do in our future. 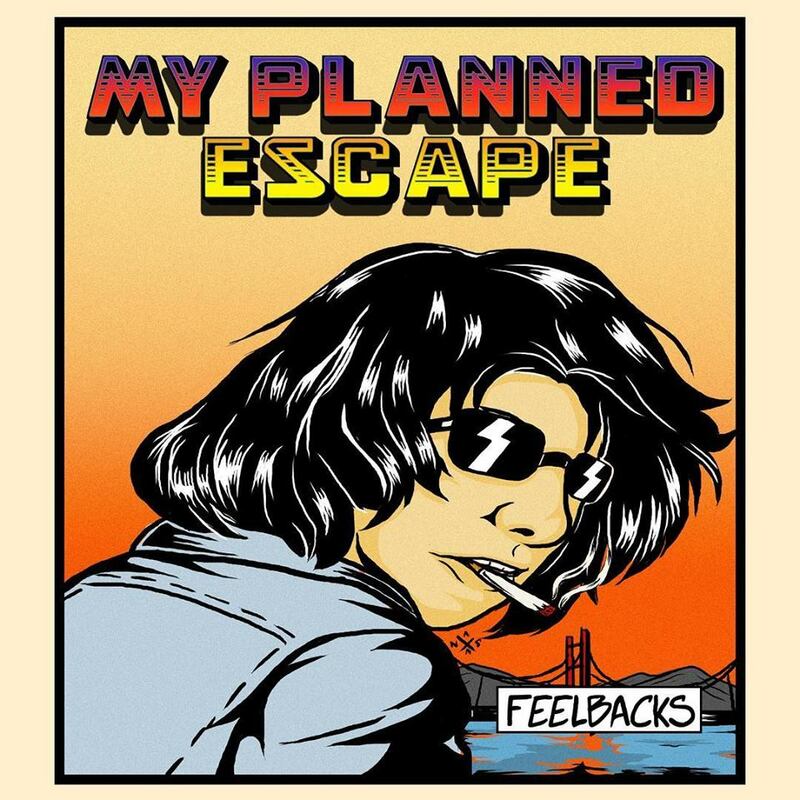 Your new single, “My Planned Escape”, is out since March 5th. What’s the story behind this new song? When you’re sick to be the right person in a wrong world, you’d probably need a planned escape from this mess. So, imagine if you could bring the person you love the most, to the ideal planet, leaving here all the bad things belonging to this world. That’s the story of how love and determination can make it happen! Can we talk about the artwork of this single? I really like it! That’s a very nice story! One of our Instagram fans, contacted us telling that he does artworks for rock bands, and he would like to work with us as well. So we decided to commit this artwork to him telling him the story of the song to give him the key to do a sketch. We really liked the artwork so we decided to use it as the official artwork for our new single. We just left the writing at the top to our singer Ivan Boison, who also did the artwork of our last EP. 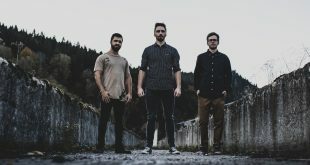 Your latest EP, “Into the Core”, was released back in August 2018. Are you guys currently working on a new EP or album for 2019? For the moment we’re just releasing a new single, but we hope to have new music out next fall/winter. Speaking of new songs. How would you describe the writing process you have within the band? The song idea is always represented by a raw audio file at the beginning. Then we polish the song with the arrangements, more guitars lines and vocal harmonies. Then, we think about making the song interesting, making some changes in a part of the song. The rest is pure inspiration. YO guys, thanks for checking us out. We hope you are gonna dig our new single. We wanted to experiment a heavier sound on this one and we are really happy with the result. We’ll see where this sound takes us. Find it out with us following our social profiles. Until next time, bye! 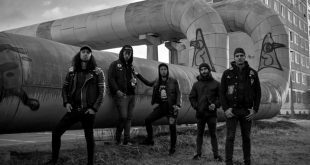 Previous The thrash metallers Warfaith announce a new EP “Pint of Pils”! Next Deference and Vanity are set to release their split EP soon!